(JTA) — The French comedian Dieudonne M’bala M’bala was found guilty of condoning terrorism for social media posts sympathizing with the Islamist gunman who killed four Jews at a Paris-area kosher supermarket. On Wednesday, a Paris court gave Dieudonne a suspended two-month jail sentence. He had faced up to seven years in jail and a $106,000 fine. Dieudonne posted “I feel like Charlie Coulibaly” on Facebook on Jan. 14, days after the hostage siege at the Hyper Cacher supermarket that ended with the four murders and an attack two days earlier at the satirical weekly Charlie Hebdo magazine that left 13 dead. His post mixed the phrase in support of the magazine — “Je suis Charlie” — with the name of the killer, who also shot a policewoman dead during the murderous spree. He later removed the post from Facebook. Dieudonne has been convicted seven times for inciting racial hatred against Jews. He has been charged almost 40 times under France’s hate-speech laws. 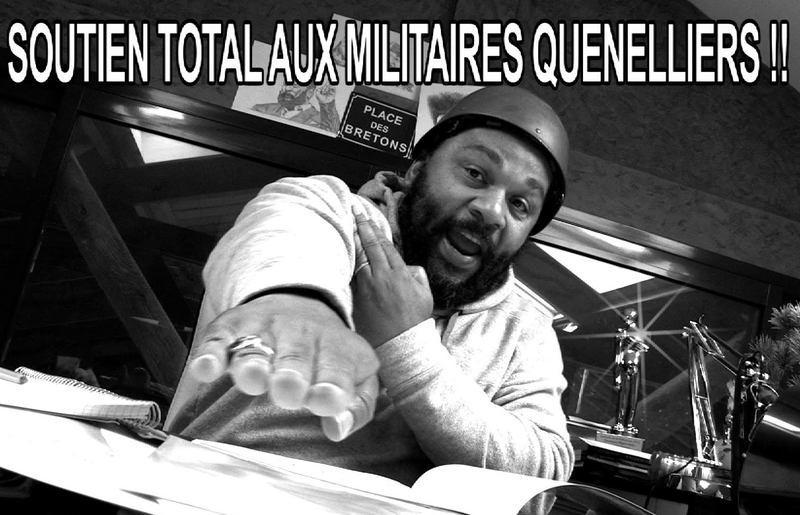 Some see Dieudonne as a symbol of France’s growing anti-Semitism problem because of his performances featuring anti-Semitic jokes and creation of the quenelle, a Nazi-like salute that French Prime Minister Manuel Vals has called a “gesture of hatred” and anti-Semitic.